Beyond Niamey: TED talks in African languages? You're welcome, and thank you for the comment. Unfortunately only one translated & subtitled in Hausa. Again it seems like there could be great benefit to having more translations in various African languages. 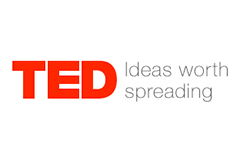 It would also be interesting to test a TEDx event in one (or more) widely spoken African language(s) such as Hausa. Feature for example scientists who are fluent in an African language talking about some interesting aspect of their research in that language. Such talks could of course also be translated into English and French, but the point in having them in African languages first would be to bring such knowledge in spoken form to wider audiences within the continent (via not only internet, but also perhaps TV or radio, as mentioned above). I attended TEDxAddis. All the talks were in English. Thanks Ben, I appreciate the information. Kind of surprising - given the long role of Amharic (written as well as spoken) in various sectors in Ethiopia, I would have expected at least some talks in that language. Btw, just saw this on Twitter re a TEDx talk in Chichewa (aka Chinyanja). 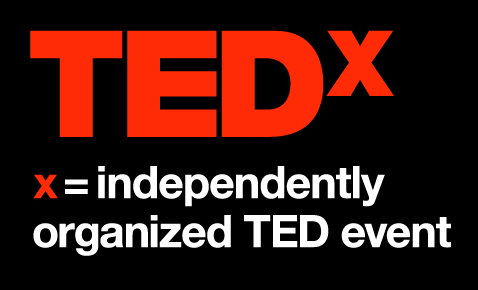 Despite Youtube, many in Africa, or perhaps in Nigeria here haven't heard of TED/TEDx. One notable talk that drew us to TED was Chimamanda "Danger of a single story", perhaps most wiedwwidely shared Nigerian TED speech. If I may first ask, aside promoting African languages what benefits do we expect from such. However TED events in Africa or locally developed similar events would prove more relevant. Whatever having set the ball rolling, what next do you see to be needed in this direction. (Ps I want a link about Kano TED event). Thanks Mazhun. I also appreciated Chimamanda Ngozi Adichie's TED talk. 2) Wider local audience. Taking again a possible TEDx in Hausa as an example, imagine how many Hausaphones not fluent in English might potentially be reached. (And for that matter, how those who do speak English might also benefit.) Youtube videos of TEDx talks can be accessed by higher end mobile devices of course; one might also disseminate audio-only via local radio. There are smart people in circumstances that never allowed them to advance their formal education, who could in this way directly hear ideas worth spreading in their first languages. There was a TEDx event in Kano in April 2015 - "Ribadu Street." Is that the one you're referring to? See www.ted.com/tedx/events/12321. Glad to hear it. I'm not an expert in any way on TEDx so any comments here are just ideas. 1) Diversity of speakers. The TEDx guidelines mention diversity in content. It may also be good to have one or two Hausa speakers from Niger (Republique du) or maybe Ghana. This way it's not just a northern Nigeria event but more of a West African event. 2) Build contacts with others in Nigeria who might be interested in organizing similar TEDx events in, say, Yoruba or Igbo. This would help develop collaboration rather than competition in the longer term, which is important for everyone's success. 3) How will videos of talks in Hausa be translated in say English for subtitles? I can pass on word of your effort in case there are experts who can offer help. Please feel free to contact me offline (by LinkedIn for example).